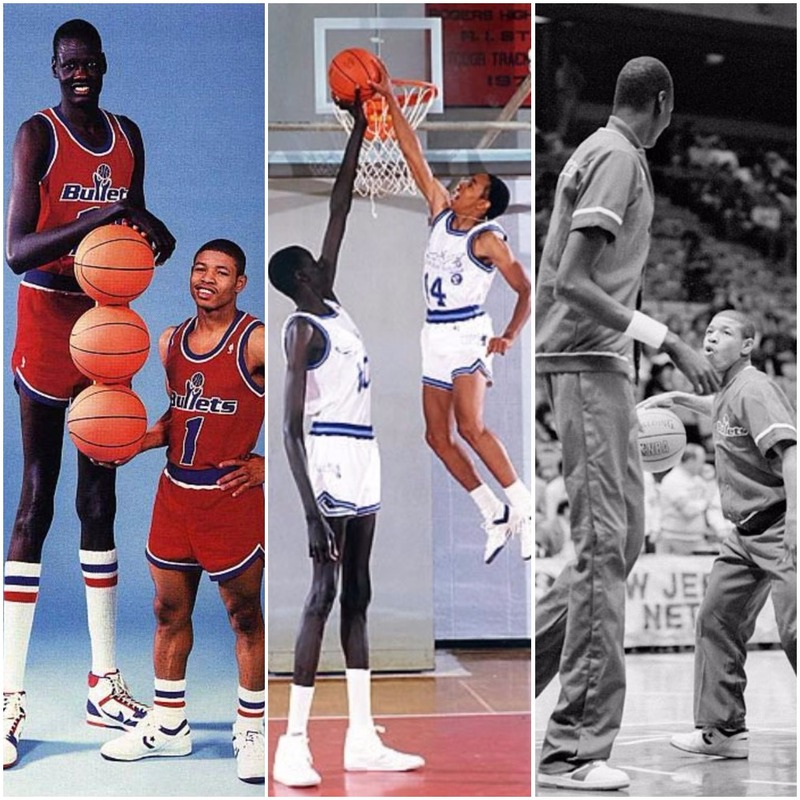 1987-88 – The tallest and shortest players in NBA history played on the same team, the Bullets. Point guard Tyrone Curtis “Muggsy” Bogues (born in Baltimore), one of the fastest players on the court, stood at 5’3″. Center Manute Bol, 7’7″, was one of best shot-blockers in the history of the sport. With a 28 inch difference between them, Bogues and Bol appeared on three magazine covers together.